Petaluma Handmade seeks vendors for upcoming 3rd Annual Gingerbread House Showcase and Competition at Petaluma Hotel, December 8. 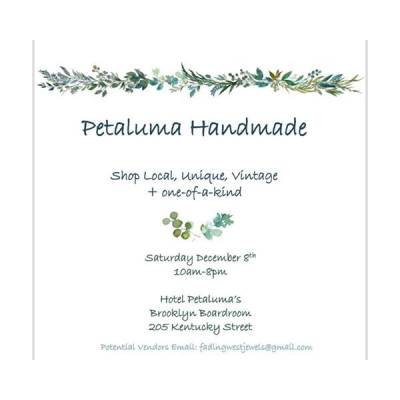 Vendors will be local makers of soap, jewelry, pillows, Petaluma prints and more.. Please email fadingwestjewels@gmail.com to learn more.